When a little email from Influenster popped into my email inbox late December I got so excited, I'd never been picked for what they call a Voxbox before so it was a nice surprise. Also you don't get told what or if you are being sent something so after Christmas when I came back to this wee parcel on my doorstep I couldn't of been more excited! I love that my first box is for my to trial a skincare product and brand I'd never tried (but always wanted to try!). I have been trialling this wonderful box of Demalogica goodies for three weeks or so and wanted to give you my two cents. This was the key product in the Voxbox being that its brand new to Dermalogica's range and I have to admit I was completely intimidated by a daily exfoliator. I have relatively sensitive dry skin and have always found exfoliants to be very stripping of moisture and to break me out into a rash, so I was a little scared to trial this. However when I first used it, I couldn't believe how gentle it was on my skin. It comes out as a powder that you turn into a paste with wet hands and it was incredibly easy to use. I have been using this every other day instead of my usual acid toner and have found it just as effective as that at keeping my dry patches and flaky nose at bay. I also want to note that this contains Niacinimide which is fab for keeping blemishes at bay. I found the Special Cleansing Gel an excellent second cleanse and for a foaming cleanser, which I don't typically use due to my dry skin. I found it non drying and made my skin feel clean and soft and also didn't sting my eyes - total bonus! I also got Nick to use this as he has a completely different skin type to myself (combination/oily but also very sensitive) and he found it really gentle and his skin felt super clean too. I had heard a lot about this product beforehand from other bloggers so I was very excited to the Pre Cleanse Balm. When it comes to cleansers I know relatively immediately as to whether I like it or not. I love the fact that it is a balm cleanser in a tube and it made me wish that all my faves come in a tube! I will say that because of that it does make it difficult to not use too much. I found this balm to not turn to a super oily texture like my number 1 fave, Clinique Take The Day Off, but it was very similar to Pixi's Balm offering which I like but it is a lot thicker in texture that what I am used to. I also want to comment that this is scented so bear that in mind if scents irritate your skin or eyes. I did enjoy it but I don't know if I'd repurchase. I found the Skin Smoothing Cream good to use, very non offensive and hydrating. I wouldn't say this is anything completely groundbreaking as of yet as I've only been using it for a handful of weeks but it is something I would reach for if my skin is irritated as it feels calming and it doesn't have anything that would further anger my skin. 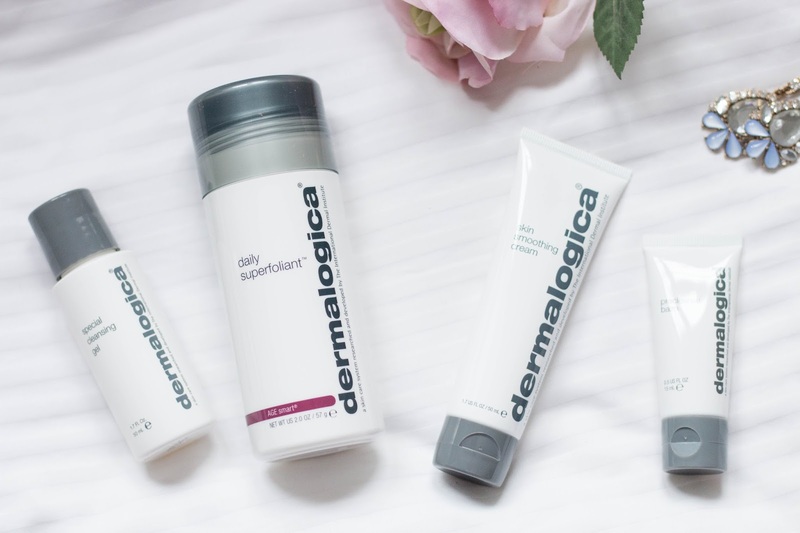 Have you tried anything from Dermalogica? Please let me know your recommendations below as I'd love to try more!